Hoya megalaster is a PNG native that thrives on the two H’s (Heat & Humidity) I received this plant in June 2009 in a David Liddle group order. The cutting looked terrible, and lost all the leaves. I was thinking about throwing it out, and gave the little stick a tug and low and behold there were some roots forming! It soon put on a couple of leaves and sat in suspended animation for a few months. When I finally moved it to a warm aquarium with sun and a heat mat, it really took off. 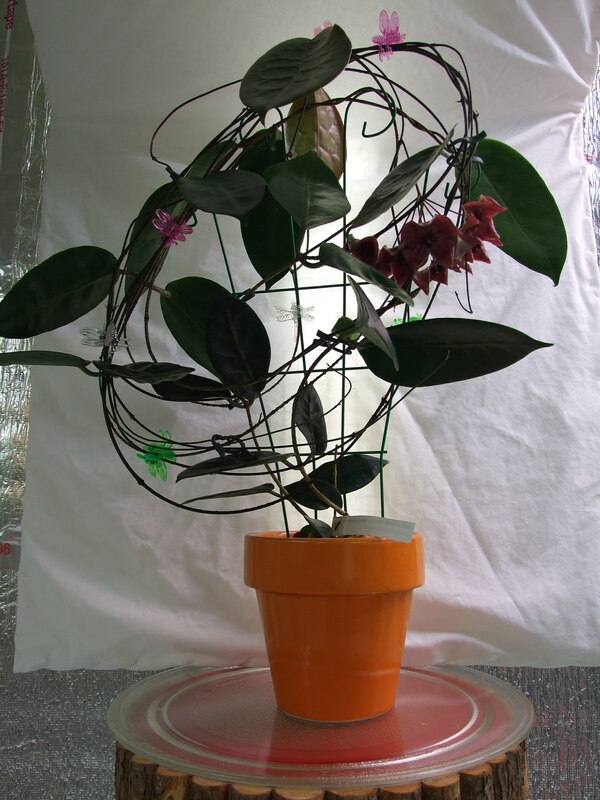 In my plant room, with no natural sunlight it bloomed under artificial lighting in four months. The first buds blasted, but new ones soon took its place. 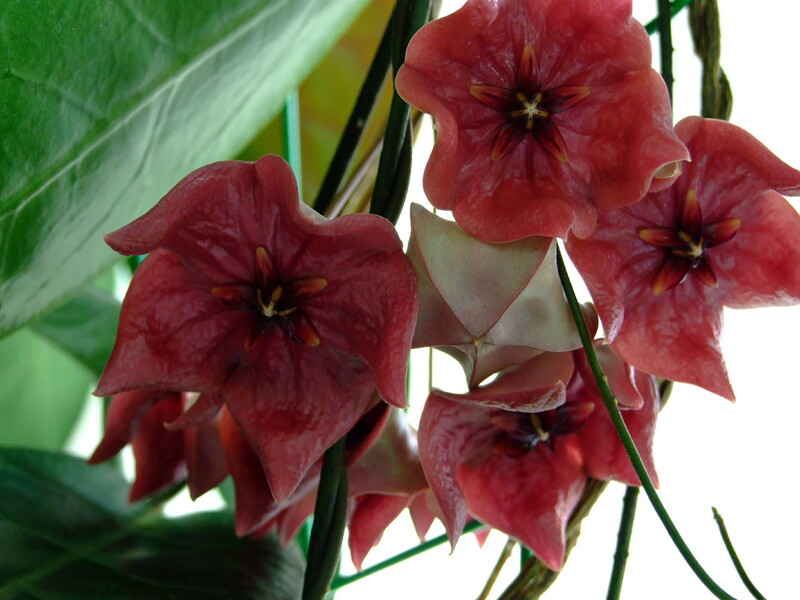 It has a very impressive bloom with 1 1/2 inch pink/red flesh colored flowers – they are very short lived. It grows fast and puts on many peduncles and will bloom very quickly if you can give it plenty of the two H’s! (85° days and 60-70 percent humidity). 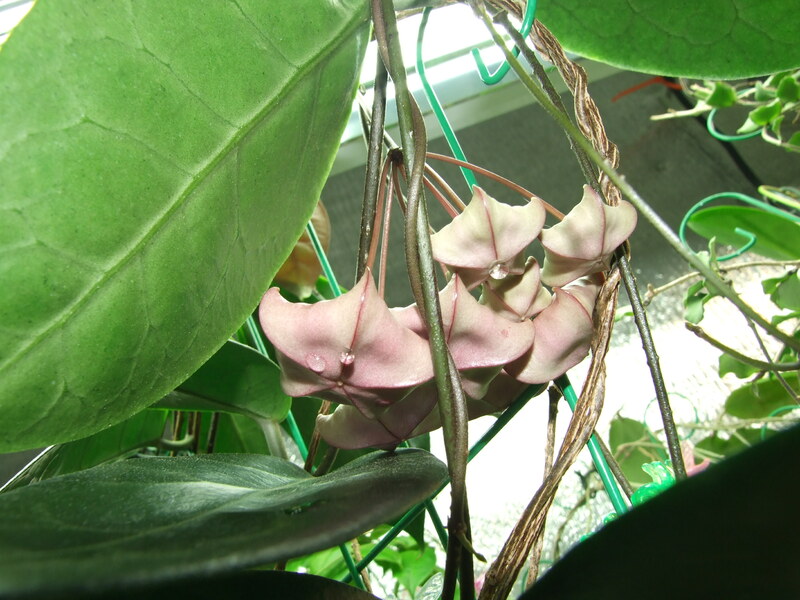 Plant is also sensitive to overwatering – keep on the dry side for best results!